The Omaha–Ponca are a Native American people who speak a Siouan language by the Omaha people of Nebraska and the Ponca people of Oklahoma and Nebraska. The two dialects differ minimally but are considered distinct languages by their speakers. Very few fluent speakers exist today. 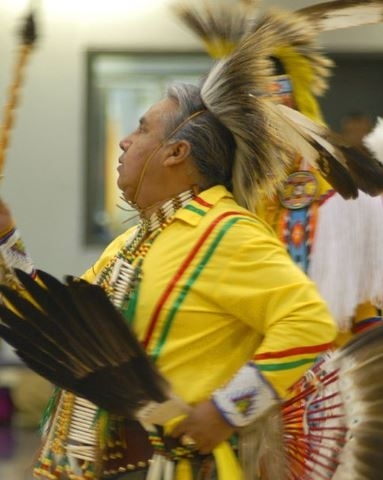 The Omaha and Ponca Native American tribes are closely related. Both tribes speak a language called the Dhegiha division of the Siouan linguistic stock. The name "Omaha" is generally interpreted to mean, "those going against the wind or current." This oral tradition has it that one group moved downstream from the Ohio and became known as the Quapaw. The second group moved up the Mississippi and up the Missouri Rivers. By the mid-1700s, they had settled along the Missouri in villages that stretched from the mouth of the Platte up to the Cheyenne River in what is now South Dakota. They became known as the Omaha tribe. The majority are either traditional religion, Baha’i, of Mormon with a very small percentage being Christian. Pray God will strengthen Omaha-Ponca spiritually to become bold in the witness. Pray for the Lord will call out evangelical Omaha-Ponca Christians to share the message with unreached Omaha-Ponca and other unreached peoples.